UNStudio, founded in 1988 by Ben van Berkel and Caroline Bos, is a Dutch architectural design studio specializing in architecture, urban development and infrastructural projects. 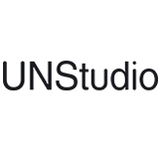 The name, UNStudio, stands for United Network Studio referring to the collaborative nature of the practice. Throughout 25 years of international project experience, UNStudio has continually expanded its capabilities through prolonged collaboration with an extended network of international consultants, partners, and advisors across the globe. This network, combined with the centrally located offices in Amsterdam, Shanghai and Hong Kong, enables UNStudio to work efficiently anywhere in the world. With already over eighty completed projects in Asia, Europe, and North America, the studio continues to expand its global presence with recent commissions in among others China, South-Korea, Taiwan, Italy, Germany and the USA. As a network practice, a highly flexible methodological approach has been developed which incorporates parametric designing and collaborations with leading specialists in other disciplines. The office has worked internationally since its inception and has produced a wide range of work ranging from public buildings, infrastructure, offices, residential, products, to urban masterplans. Pivotal UNStudio projects within these fields include; the Mercedes-Benz Museum in Stuttgart (Germany 2006), the large scale mixed-use project Raffles City in Hangzhou (China 2008 - 2015), the Galleria Department Store in Seoul (2005), the urban and architectural plan for 88 residential towers of I'Park City in Suwon (2007 - 2012 KR), department store Star Place in Kaohsiung (TW 2009), private family house VilLA NM in Upstate New York (USA 2007), the Agora Theatre in Lelystad (NL 2007) and the Erasmus Bridge in Rotterdam (NL 1996).